"When our contractor retired last year, we were nervous and apprehensive about starting our next large renovation, a Kitchen and 3 Bathrooms. John and his team were just great to work with. The quality of his work and his communication with us during this process (of remodeling) was just fantastic. Certainly way beyond our expectations." What Is Whole House Remodeling? Complete remodel of the kitchen: Ranging from pull and replace cabinets to a full gut remodel. Complete remodel of the bathrooms: Ranging from update and refresh to a full gut remodel. Removal and replacement of windows and doors. Removal and replacement of all interior doors, including trim. Removal of carpeting and installation of wood flooring. Sand and refinish wood floors. Paint all walls, ceilings and woodwork in entire house. Install new light fixtures and replace all switches and plugs throughout entire house. Install custom closet systems in every closet. Remove and replace any trim and siding on the exterior. Prep and paint the exterior of the house. Assessment and replacement of mechanical systems - hot water, heating and cooling. Who Would Request a Whole House Remodel? Every whole house remodel completed by @designREMODEL has been for a new homeowner who has purchased a house that is 20+ years old. They desire that their old house look and feel like a new home prior to moving in. In fact, the Cape Cod whole house remodels that we have completed in the past have been for homeowners that prefer to have their new home “Just Perfect” prior to moving in. They recognize that this type of project requires a considerable investment, and also that doing the work up front saves them time and money in the long run, as they can move in and start enjoying their new home. Rather then be the frazzled and stressed out new homeowner facing the daunting task of transforming an old house into a new home while they're living in it, they can move right in and spend time on activities that are important to them. 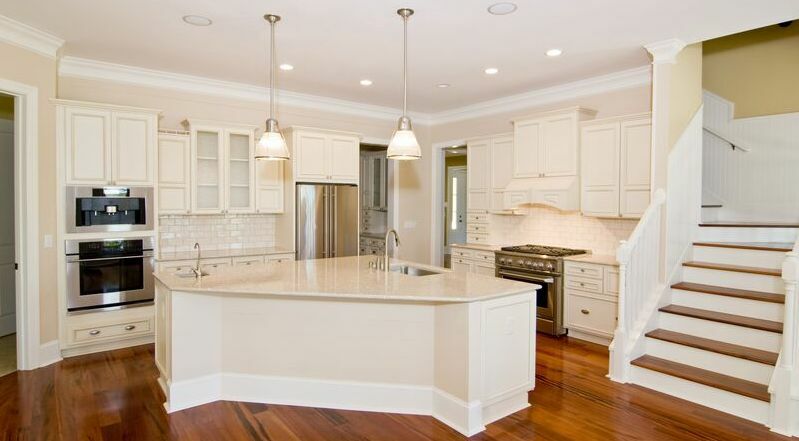 From start to finish of the actual work, whole house remodels can be completed in a little as five weeks. Some have taken eight weeks, and we had one that took six months. (Planning time is not included in the above time frames.) The keys to getting a project done in a timely manner are superb planning and focused decision making, both things at which the team at @designREMODEL excels! What Does a Whole House Remodel Cost? The range is broad, given that no two houses/projects are alike. On the lower range, we have completed a whole condo makeover for $63,000, and on the upper range, we have completed a whole house remodel for $538,000. If you are interested in having an old house transformed into a new home, give us a call and we will schedule an appointment to meet with you to discuss your ideas and vision for your new home. Ideally, if it makes sense to you, we will reach an agreement to develop and create a complete turnkey proposal and design for your project. If you are discerning home buyer and would prefer to move into your new home that is ”Just Perfect” and not have to deal with the hassle and headaches of remodeling while living in your new house, then give us a call today.